(Hoboken, N.J. – Tuesday, Jan. 15, 2019) – Driven by the expertise of its faculty and customized instructor training, Stevens Institute of Technology has been named among the top providers of online graduate programs in the nation in the widely-watched rankings published today by U.S. News & World Report. In the latest rankings, Stevens placed in four categories – computer information technology programs (No. 8); business programs (No. 14); engineering programs (No. 22) and MBA programs (No. 45) – across the School of Business, Schaefer School of Engineering & Science and School of Systems & Enterprises. All programs saw an improvement in rankings, with online business programs gaining 14 spots from 2018 and the distinction as the No. 1 online business programs in all of New Jersey and in the New York metropolitan area. Through Stevens’ award-winning online learning unit, WebCampus, students follow the same curriculum as their on-campus counterparts and learn from the same renowned faculty members through a multimedia-rich experience that allows for real-time interaction. The close-knit collaboration between instructors and WebCampus staff, combined with focused support services for students, has helped Stevens stretch the boundaries of what’s possible in online education. Today, Stevens faculty lead roughly 2,000 students each year through 330 online courses, covering 18 master's degrees and 50 graduate certificates in engineering, management and computer science. Master’s programs available via WebCampus range from construction management and financial engineering to systems engineering, information systems and pharmaceutical manufacturing. Recognized by the United States Distance Learning Association and the Online Learning Consortium for its dedication to online learning, WebCampus works closely with faculty to create highly tailored courses. These courses incorporate leading technology including real-time video and audio communications with session attendees, as well as the latest retention strategies. WebCampus is currently testing a ‘Boosted Learning’ initiative, which not only uses microlearning opportunities for students in the weeks following a course to boost retention of core content; but also provides faculty members an untapped set of data points for interacting with their students, as well as assessing and improving their classes and programs. In addition to the national rankings, all four categories – computer information technology, business, engineering and MBA programs – have been ranked No.1 in New Jersey, underscoring Stevens reputation for innovation and excellence. For each category, U.S. News evaluated student engagement, admissions selectivity, peer reputation, faculty credentials and training, and student services and technology. To learn more about StevensOnline please visit www.stevens.edu/online. 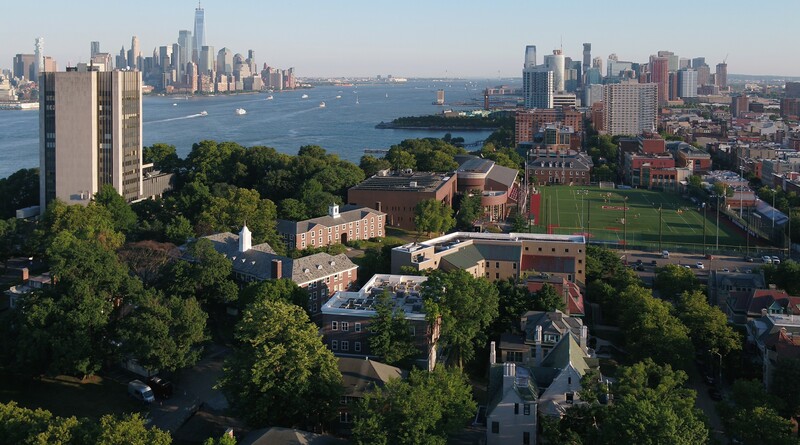 Stevens Institute of Technology is a premier, private research university situated in Hoboken, New Jersey overlooking the Manhattan skyline. Since our founding in 1870, technological innovation has always been the hallmark and legacy of Stevens’ education and research. Within the university’s three schools and one college, 6,900 undergraduate and graduate students collaborate closely with faculty in an interdisciplinary, student-centric, entrepreneurial environment. Academic and research programs spanning business, computing, engineering, the arts and other fields actively advance the frontiers of science and leverage technology to confront the most pressing global challenges. The university is consistently ranked among the nation’s elite for return on tuition investment, career services and the mid-career salaries of alumni.